The Generation 1, sometimes referred to as a Mark 1 MINI is the heart and soul of the modern MINI movement. It was first introduced into production in Europe in 2001. Once all the bugs were worked out the Gen1 went into full worldwide distribution in 2002. The favorite among the purests this great small lightweight and nimble car continued production through 2006 as a Hatchback (R50 & R53). A Cabriolet (convertible) model based on the Gen 1 Platform was available from 2005 through 2008 (R52 & R52S). 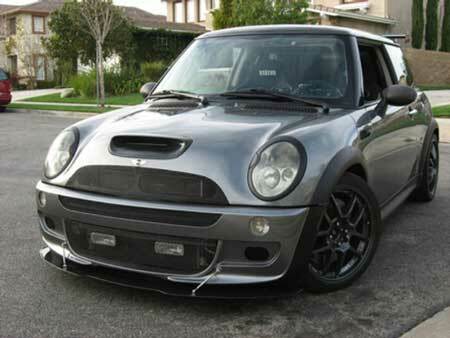 "S" model MINIs are easily identified by their functional hood scoop and center located rear dual exhaust tips. All versions are powered by a stout 1.6 litre single overhead cam engine with a cast iron block and aluminum cylinder head. All "S" models (R53 and R52S) are supercharged using a roots style Eaton 45 supercharger and a small engine top mounted intercooler. The engine was manufactured by Tritec in Brazil, a joint venture between Chrysler Corporation and Rover Group. The "S" models produced an advertised 168 HP at the flywheel but the engine can be easily modified with bolt-on parts to produce near 225 HP. Over 300 HP can be achieved with internal engine modifications, added boost pressure and an upgraded fuel system along with ECU reprogramming. M7 Speed was founded the day the Gen 1 MINI hit the North American shores and almost instantly started designing and manufacturing performance parts for this MINI pocket rocket. Some of those same parts are continue to be top sellers and still offered today along with an entire assortment of engine, chassis, suspension, brake and body parts to upgrade this aging but exciting and competitive car.